Luxuriously creamy, and made with ultra-hydrating natural oils and body butters that melt into your skin during a romantic massage, and leave skin feeling silky soft. 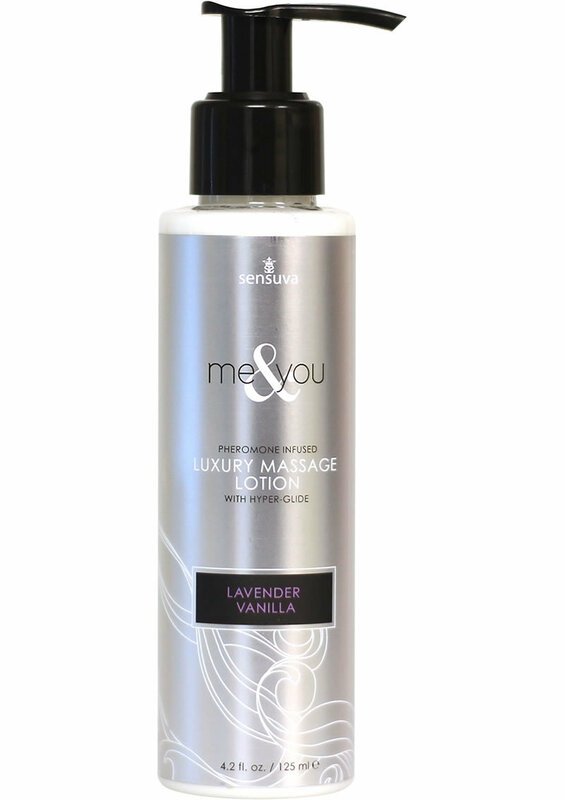 Special hyper-glide formulation makes ME & YOU last for an extended amount of massage time. Love that slip sliding away sensation i get when my partner decides to give me a massage. My hands doesn't get tired or cramp up either when i return the favor. Smooth, silky and long lasting.